CropTop was what I wore while stepping into the new year Twenty Fifteen, see that post here. Little did i know then that am going to be in love with these crop tops for the rest of the year. 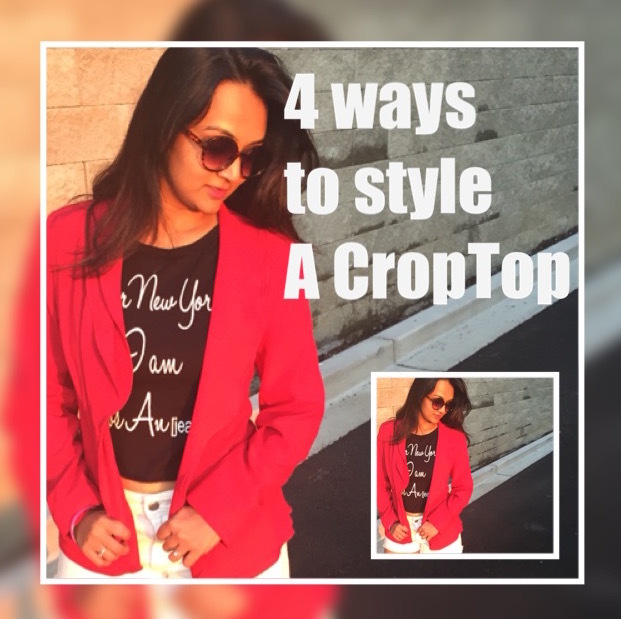 Crop tops can be styled for a simple casual look to a dressy formal look. I have enjoyed wearing croptops this summer and wish to wear it until Christmas. If you are curvy or a plus size and thought that croptops are not for you, then please do check the video below. If you want to avoid any skin showing you could still wear crop tops with a tank inside or a blazer on top. Wear a crop top for a brunch with friends, date night or just for a walk in a park. I also styled a crop top which I previously paired with a leather skirt, as a blouse with an indian sari, do check that video here. Love the crop top with tank look. beautiful style my dear !! !